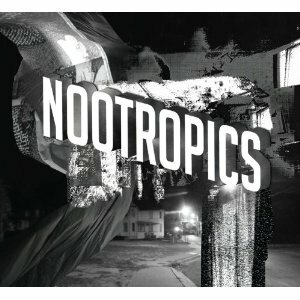 Nootropics is achingly transformative. Once replete and stark, the Lower Dens sound is flush with exploration. They’ve added another guitarist/keyboardist since 2010’s reverb masterpiece, Twin-Hand Movement, and it has mostly paid off. Notably, keyboards and percussion have completely taken on a life of their own, leading Nootropics’ misty grandeur with sheepish devilry. Jana Hunter’s voice is still enthralling. She has built a perfect accompaniment around crackling guitar explorations, gentle background vocals, and the group’s deliberate, moody percussion. “Lamb” showcases Hunter’s surreal ambitions and the group’s acquired taste for new wave and goth. However, “Stem” might be the most balanced track out of the bunch; celebrating those signature guitar swells with a labyrinth of organ dressing. For someone who worshipped Twin-Hand Movement as much as this owl, we can’t say with honesty that we “got it” after the first listen. Then, we realized that they’re almost completely different artistic motives, and everything else fell in line after that.